The DFRobot URM05 High Power Ultrasonic Range Finder is based on electrostatic senscomp's 6500 ultrasound transducer design. It can measure a distances of up to 10m. The angle between the ultrasound probes is only 15°, while the majority of the ultrasound is 60°. 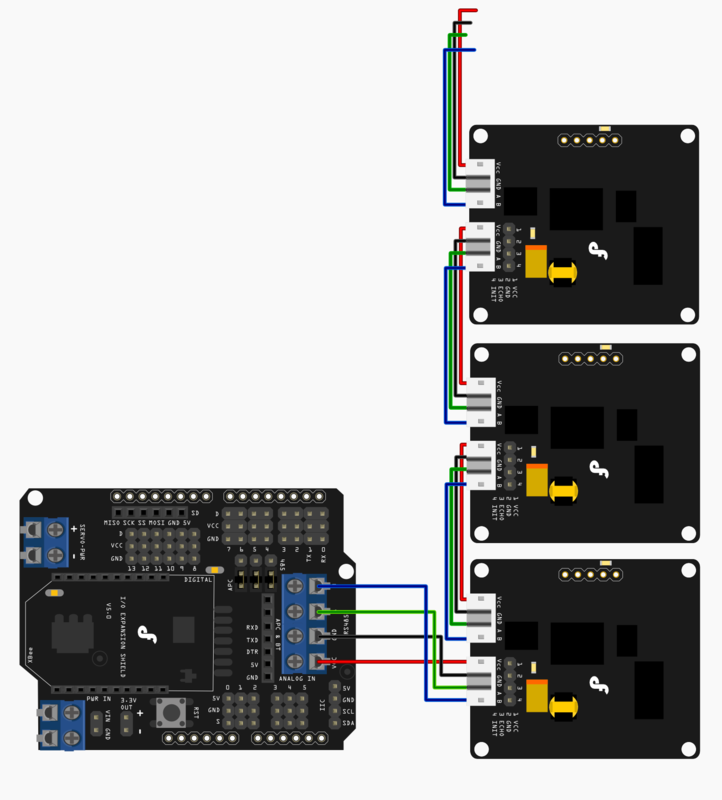 NOTE:You may also use IO Expansion Shield For Arduino(V5) (SKU: DFR0088) to simplify the connection. PS: The sum byte value is the sum of all the byte value before. Just keep one byte from the total sum value. PS: The address of each device can be changed when multiple devices are connected. The new Address must be between 0x11 and 0x80. If the address is set sucessfully, the URM05 will return what it received.If unsucessful, there is no return data. NOTE: The default address is empty. Please initialize the address before you using it. You could set the address by using Arduino communication or using RS-232 to RS-485 Converter directly with your computer. PS: This command is used to get the measuring distance from the URM05. It will trigger the measurement first. Then the sensor will transfer the distance value back to the master. The command will return the measured distance value. The value consists of two bytes. The unit of the value is mm. The first content value is the high byte and the second content value is the low byte. 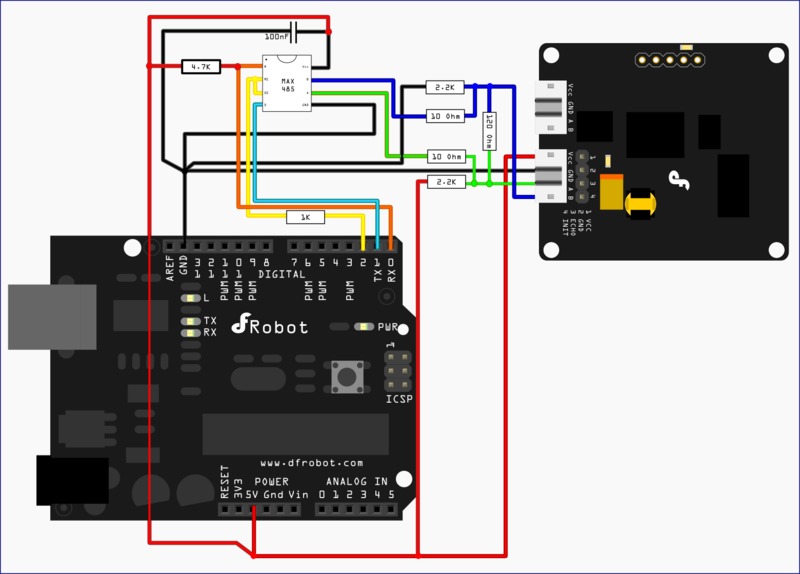 # You could use IO expansion shield V5 from DFRobot to drive the urm sensor directly with your arduino board. # Considering the sersors with RS485 interface is really hard to use for a beginner, so if any problems, you could e-mail me. # We'll try to improve the sample code to make it easier to be understood. The library code: please place the library file Urm5parser.h in to the sketch folder. 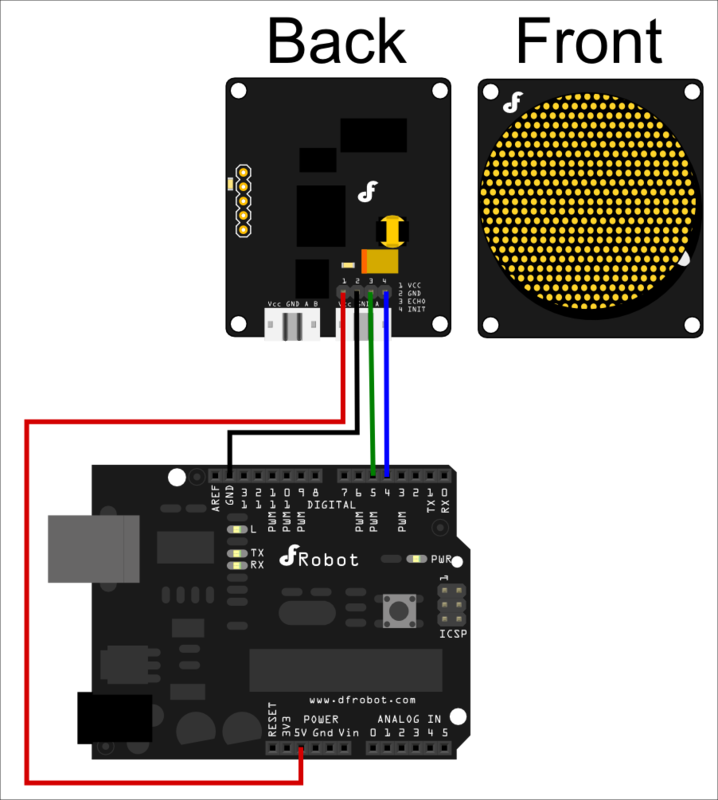 Get DFRobot High Power Ultrasonic Range Finder from DFRobot Store or DFRobot Distributor.